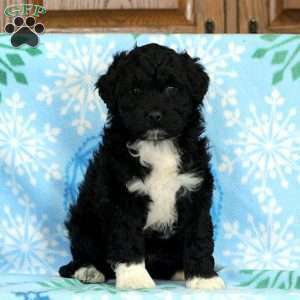 Barkley is an adorable Mini Bernedoodle puppy that is full of life and has tons of personality. This wonderful pup is vet checked, up to date on vaccinations and dewormer, and comes with a health guarantee provided by the breeder. He has a soft and fluffy coat of fur that is ready for snuggles. He is well socialized and his mother is the beloved family pet and available to meet. Barkley is sure to bring you endless joy and fun. You are going to love this little gem. If you would like more information on Barkley, please contact the breeder today! 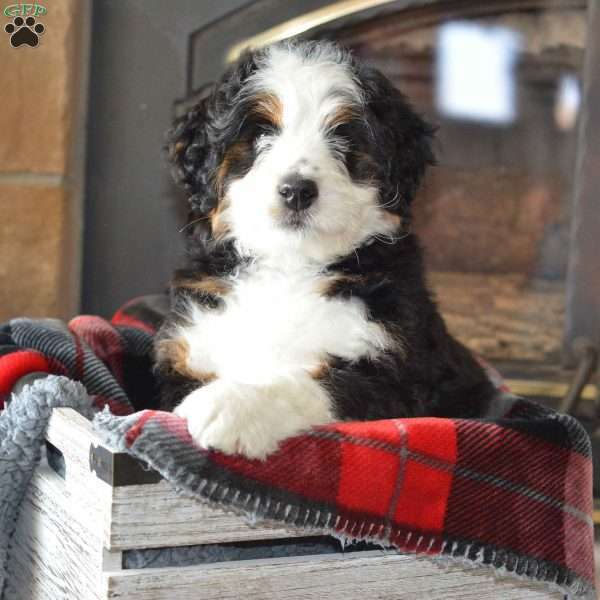 This puppy is a first generation Miniature Bernedoodle, where one parent is a Bernese Mountain Dog and the other is a Miniature Poodle. Due to this fact, please be advised that sizes can vary and there may be puppies that fall above or below the projected full grown weight within any litter. 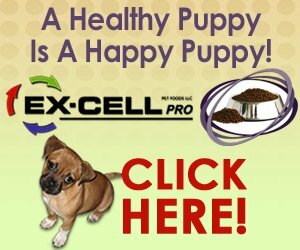 Puppies can favor either parent in weight, looks and stature and it is important to remember that the projected full grown weight is only an estimate and not a guarantee. Joanna Schlabach is a breeder from Millersburg, OH. 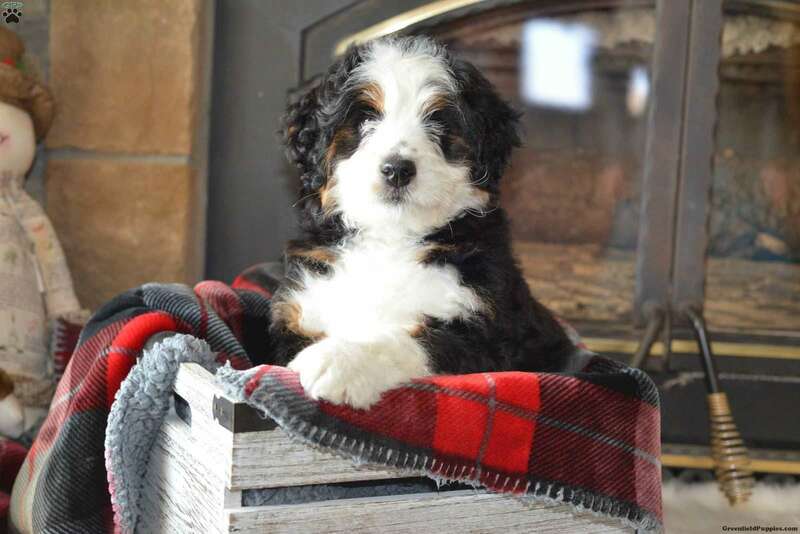 She currently has a litter of Mini Bernedoodle puppies. This litter is up to date on shots and dewormer. The pups are vet checked and come with a health guarantee provided by the breeder. Please contact the breeder for more information.